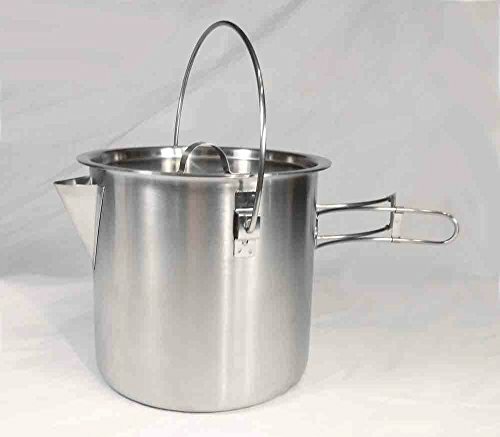 52-Ounce-Stainless-Steel-Camping-Pot-Cooking-Kettle - Pot will hold 68 ounces will boil 52 ounces without spilling out the spout. Top handle can lay down or stay up. Inside cover has mirror finish and could be used in an emergency as a signaling device. Excellent quality 304 stainless steel. Strong yet light weight - Weight 15 oz - Height 5 3/8" - Diameter 6"